"How can one avoid concluding that the reason they do not provide the documentation is that they know it confirms my testimony?" 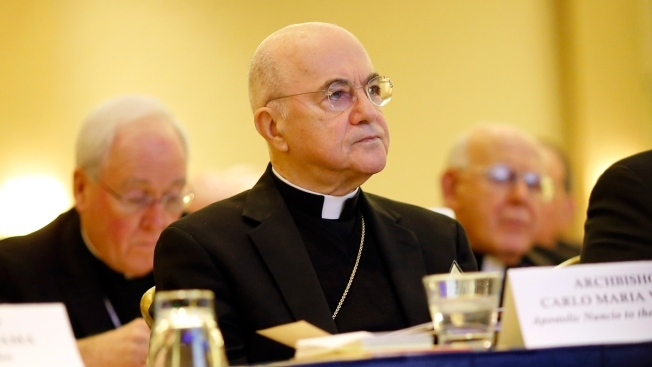 In this Nov. 16, 2015 file photo, Archbishop Carlo Maria Vigano, Apostolic Nuncio to the U.S., listens to remarks at the U.S. Conference of Catholic Bishops' annual fall meeting in Baltimore. 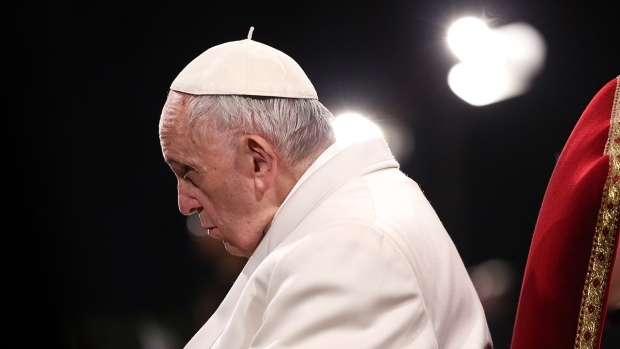 Vigano accused Pope Francis of covering up the sexual misconduct of ex-Cardinal Theodore McCarrick and rehabilitating him from sanctions imposed by Pope Benedict XVI. In a new letter released this week, he denounced Vatican silence about his claims, accusing Francis of a campaign of "subtle slander"
The former Vatican ambassador who accused three popes and their advisers of covering up for a disgraced American ex-cardinal has challenged the Vatican to say what it knows about the scandal and accused Pope Francis of mounting a campaign of "subtle slander" against him. Vigano denounced the official Vatican silence about his claims and accused Francis of mounting a campaign of "subtle slander" by referring indirectly to him as Satan in recent homilies. Vigano urged the current head of the Vatican bishops office to speak out, saying he has all the documentation needed to prove years of cover-up by the Vatican about alleged sexual misconduct by ex-Cardinal Theodore McCarrick. Francis removed McCarrick as a cardinal in July after a U.S. church investigation determined an allegation he fondled a teenage altar boy in the 1970s was credible. After news broke of the investigation, several former seminarians and priests came forward to report that they, too, had been abused or harassed by McCarrick as adults. The scandal has led to a crisis in confidence in both the U.S. and Vatican hierarchy, since McCarrick's penchant for seminarians was apparently an open secret in some U.S. and Vatican church circles. 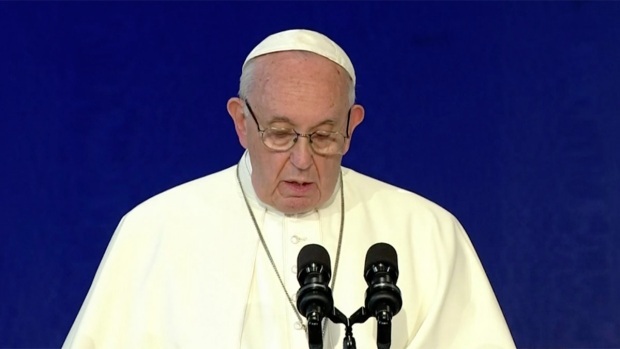 Francis, however, has referred to the issue indirectly in his morning homilies, speaking of the silence of Jesus before the "Great Accuser" — seemingly comparing his own silence to that of Christ and Vigano's accusations to the work of Satan. Vigano's new document was dated Friday, Sept. 29, the feast of St. Michael, Archangel. It wasn't a coincidence: St. Michael is considered the protector of the church, the leader of all angels who battled evil and drove it from the church. Vigano has cast himself as the church's protector who at great personal risk dared to break two decades of "omerta" or silence.